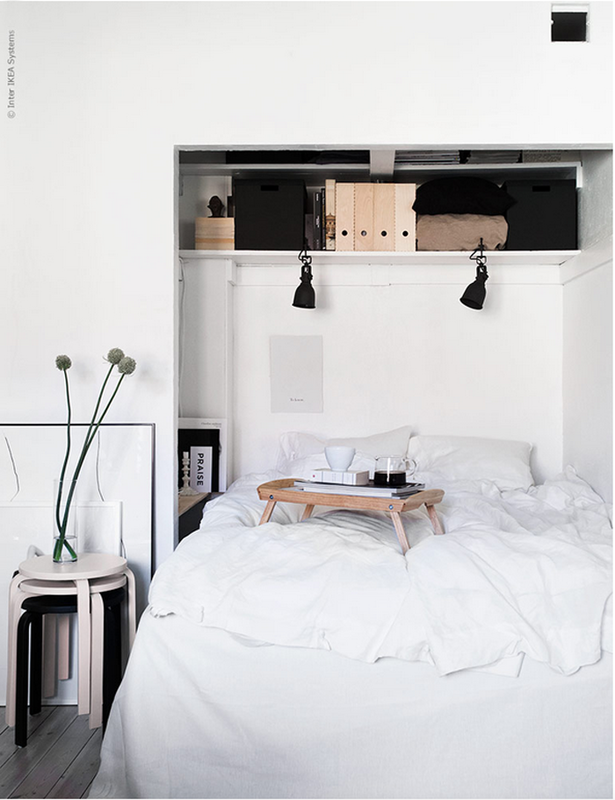 (Above) Move over Harry Potter, sleeping in the closet is getting an upgrade Love this cozy bed in the closet idea we spotted on Livet Hemma from the home of Emmie Bjernvinge. 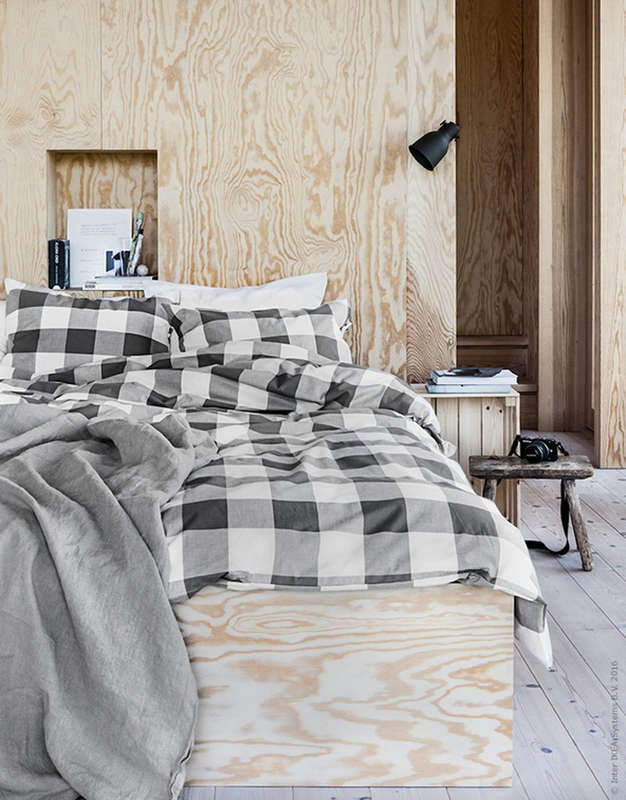 A great idea if you have a small bedroom or maybe a bachelor apartment and need to create more space. Love using the upper shelf for clip-on lighting too. All looks chic in black and white. Makes one want to do this just for fun, yes? (Below) In Ikea's book FIND IT PART 2 they've portrayed a range of kitchens and their owners around Sweden. 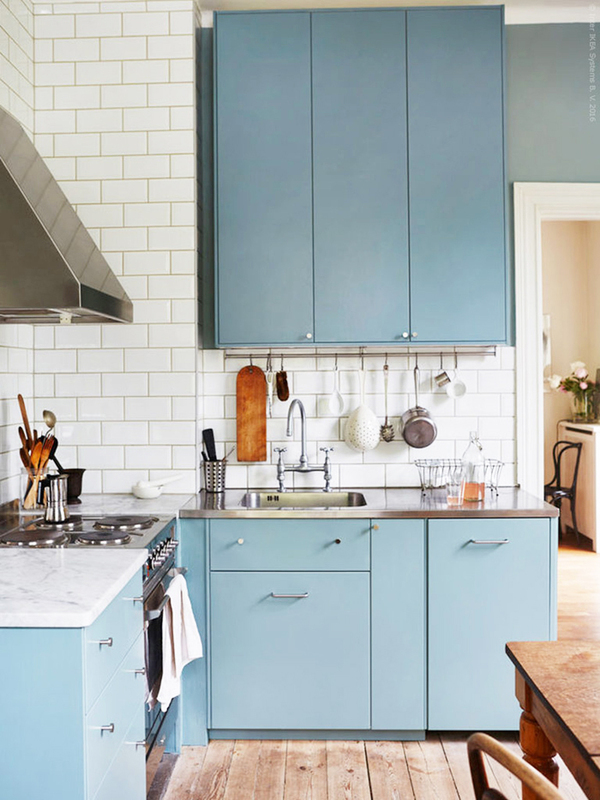 One of the kitchen's featured is the home of artist Gunnel who decorated an old school where she made smart solutions to fit in a small space. At the same time she respected the house's history using a classic color scheme. We love the long upper storage along with GRUNDTAL rail for easy access to utensils. A fun idea if you have a private spot in the backyard. 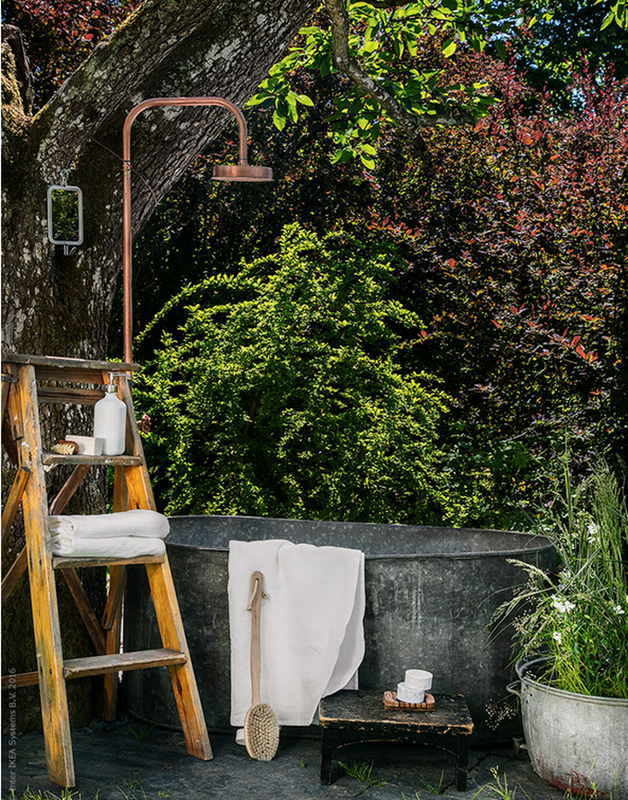 Utilize a corner of the garden for a soothing bath under the canopy. 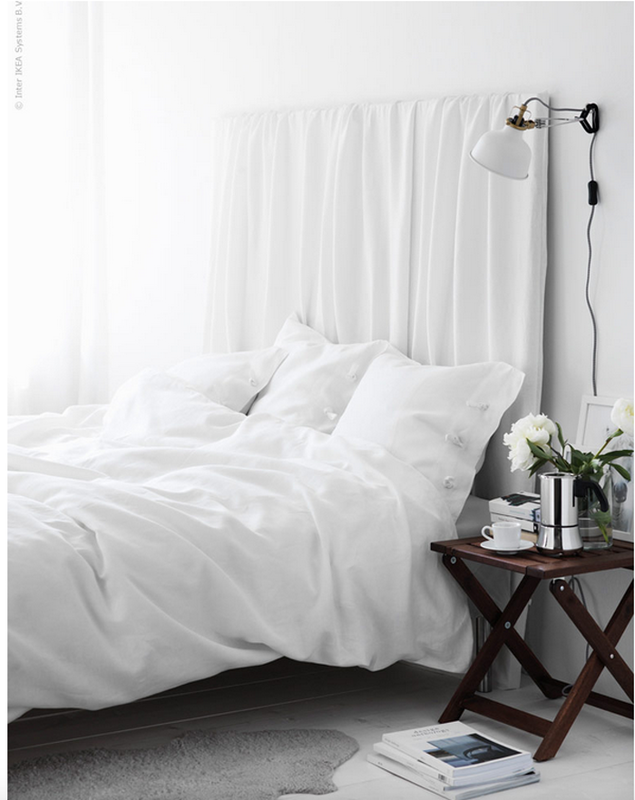 Give your bedroom a fresh look by threading a duvet cover directly over an existing headboard or a large frame created with three pieces of wood. See the how-to here. Tired of drywall and want a new look? Create a fresh new look using plywood. See more here.